Light grey 5 piece jacket suit for baby boys, toddler or older boy, perfect outfit for any special occasion including a christening, wedding as a pageboy / guest, formal occasion etc. 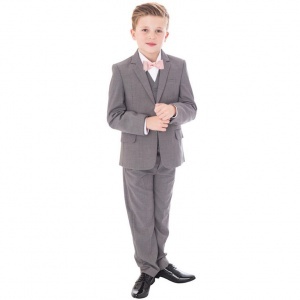 Dickie Bow Tie: Luxury satin bow-tie, pre-tied for the perfect knot every time, complimenting the suit perfectly. 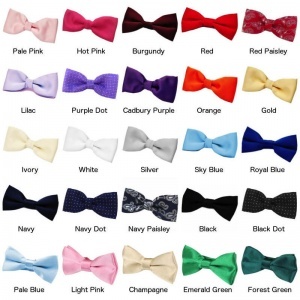 Choose from over 20 colours (image shows a baby pink bow-tie). 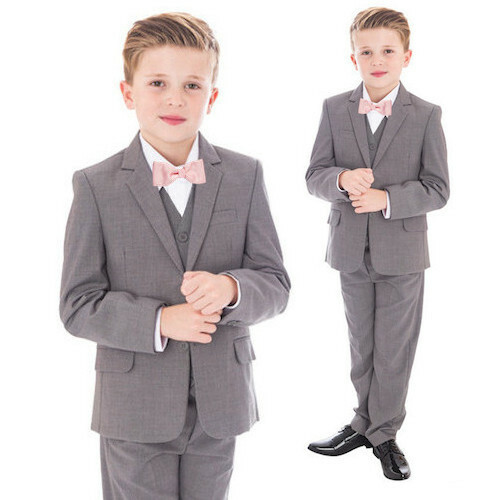 This light grey 5 piece outfit will make him look like the perfect handsome gentleman at a christening, wedding as a pageboy / guest or a special occasion.